So, you know something isn’t right, your no longer your self – something in your life has to change. Yet you’re not sure if counselling is right for you? Well before you dismiss the idea entirely I have attempted to address the 5 most common myths surrounding counselling and therapy that I have come across when talking to people about counselling. 1 – I’m not THAT crazy! This is probably the most common reason people give for not seeking counselling! The reality is, most people that contact me are ordinary, everyday people with ordinary, everyday problems. They may have lost a close relative and cannot move on, be going through divorce, experiencing anxiety or feel they cannot cope being a new mum due to feelings of depression. Considering 1 in 4 of us, according to recent figures will experience some kind of problem with our mental health in our lifetimes; we will ALL have a period in our life whereby counselling could potentially help. Of course! Talking to those who love and care for us can be very supportive and helpful which may be sufficient for most issues. However, there may be times where you may feel too ashamed to talk to them for fear of being judged- or it may well be those relationships themselves that are part of the problem. 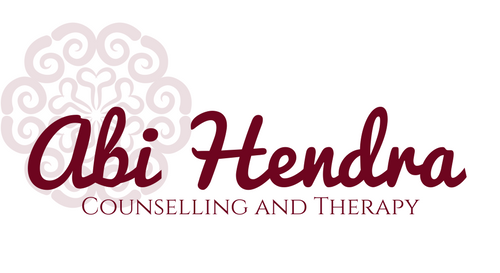 Counsellors will provide you a non-judgemental, safe space to explore what has happened to you or how you are feeling. They will support you and empower you to work through your issues and achieve your goals. any lower cost or discounted sessions that they offer for certain people or income groups. Many do so it’s always worth asking! In spite of this, I would argue that counselling and therapy is a good personal investment both in terms of time and money. When you consider how your well-being —or lack of it—will impact your relationships, health, career success, and overall life satisfaction. You need to consider whether the cost of not having counselling is greater than the cost of having it. For those who have experience trauma and abuse in their past, the thought of talking about those experiences (often for the first time) can provoke a huge amount of anxiety. For much of your life avoidance or repression of those memories and feelings may have helped you get through, but there may come a time where those coping mechanisms no longer work. Therapy is not always easy. You will not always come out of a session feeling better. But, a good counsellor will know how to support you through the process, allow you to be in control of your therapy session and say as much or as little as you feel you can. When I am in the process of supporting the opening of a client’s heart to the parts of them that carry extreme pain I do so slowly. I proceed as safely as possible, at a pace they are comfortable with. Despite not being an easy process, the results can be life changing. Maybe you have tried therapy before but it didn’t work out? Fortunately, not only are there many different types of counselling and therapy available, but also each counsellor or therapist is an individual and will have their own way of working. Research has shown, regardless of the theoretical background or modality of the counsellor; the most important factor that influences success in therapy is the therapeutic relationship. Therefore, it is important you spend time researching and even meeting different therapists to see which suits you best. Find one that you feel will listen to you and you can feel very comfortable to open up with as well as having the suitable experience to support you. Do not feel you have to stick with the first one you meet. Even if you are referred through the GP or an organisation you may still be able to ask to work with a different counsellor if the first match is not good.